Newly crowned Miss Samoa Sonia Piva’s next big engagement is the upcoming Miss Pacific Islands which will be held in Tonga in early December. Crowned over the weekend in Savai’i, Sonia did not waste time putting together a schedule in the lead-up to the regional event in December. “I am given this week to relax and spend time with my families, who came from overseas for support, also with my two sets of parents Maria and Piva, Reverend Samuelu and Pativaine Areta. Next week we will delve into preparations for the upcoming pageant,” she said. The new Miss Samoa will sign her contract with the Samoa Tourism Authority next week and will start her journey as Samoa’s Ambassador. 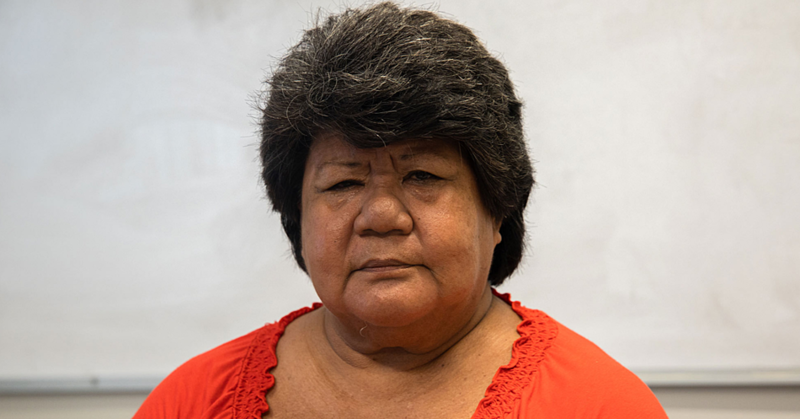 She spoke about how things came into play when she visited Samoa in March this year. Miss Samoa said during the preparations for the pageant, many of her families came from abroad to lend their support. “I was assigned to my Areta family in Salelologa and the support shown by them was significant and so winning the title was the goal. “I felt that all these people invested their time, effort into getting the best of everything for the pageant… it was a burden lifted when it was done and it was favorable. “I have been super blessed to have been given under the care of my Areta family who has been great hosts, not only for me but my Areta family. It’s been amazing, I now have my second set of parents, again I am blessed,” she said. 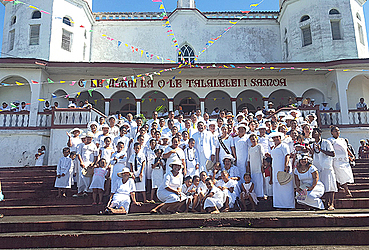 Reverend Areta, said the decision by Samoa Events Incorporated to bring the pageant to Savai’i was a great idea. “The girls were able to learn so much living with a faifeau’s family. For us, our whole denomination got involved with the preparations and the women went all out for Sonia. “She’s a Salelologa girl and is a part of my family – she’s one of my girls. I want to thank S.E.I. and S.T.A. for affording the opportunity for the Savai’i people to be hosts and also bring revenue for the local business,” he added.